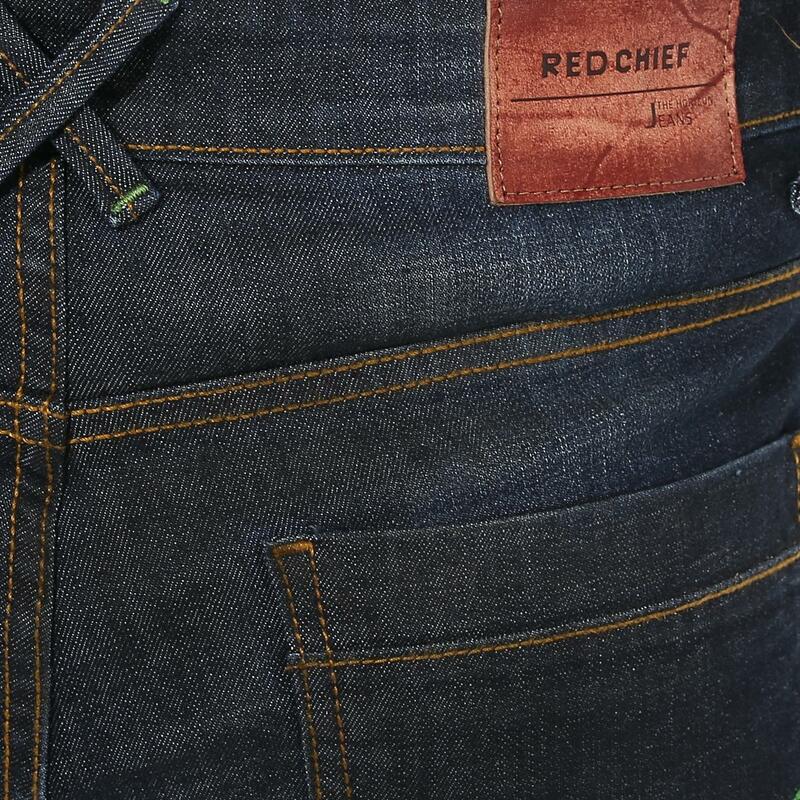 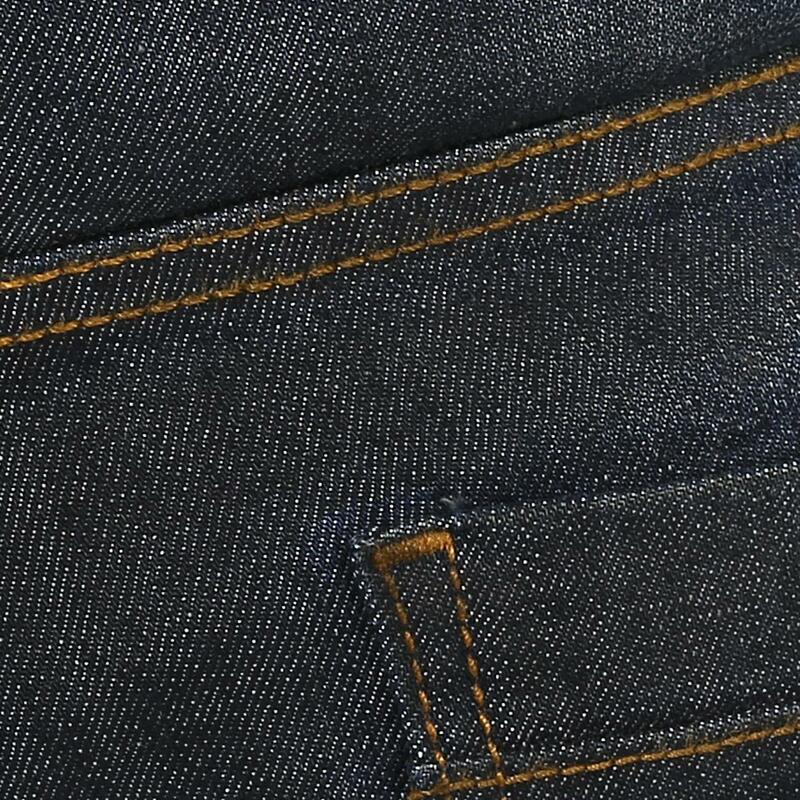 Created for street surfers, these dark D.BLUE denims jeans from Red Chief are an epitome of class. 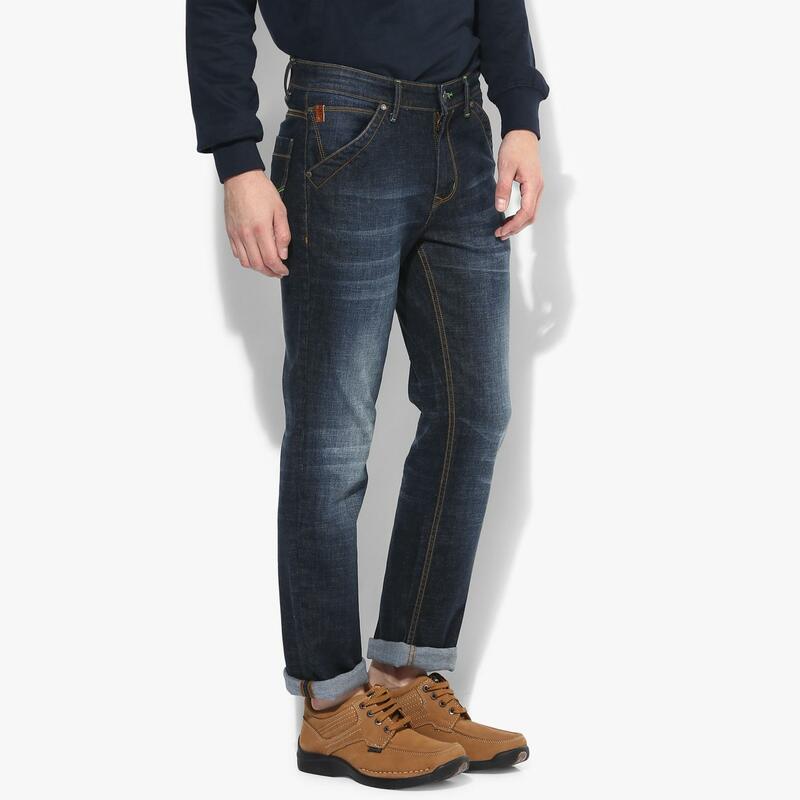 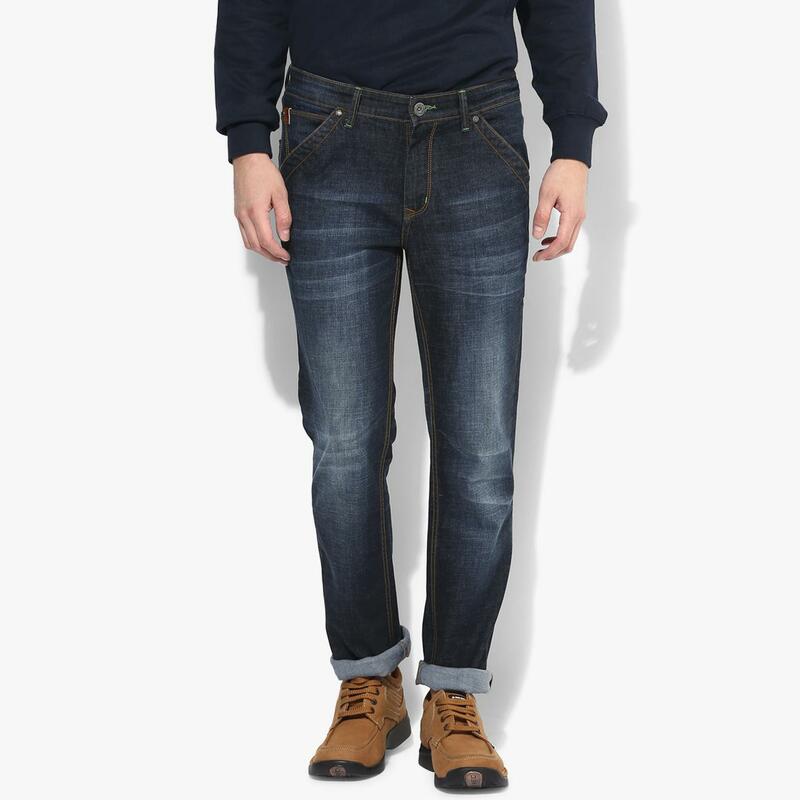 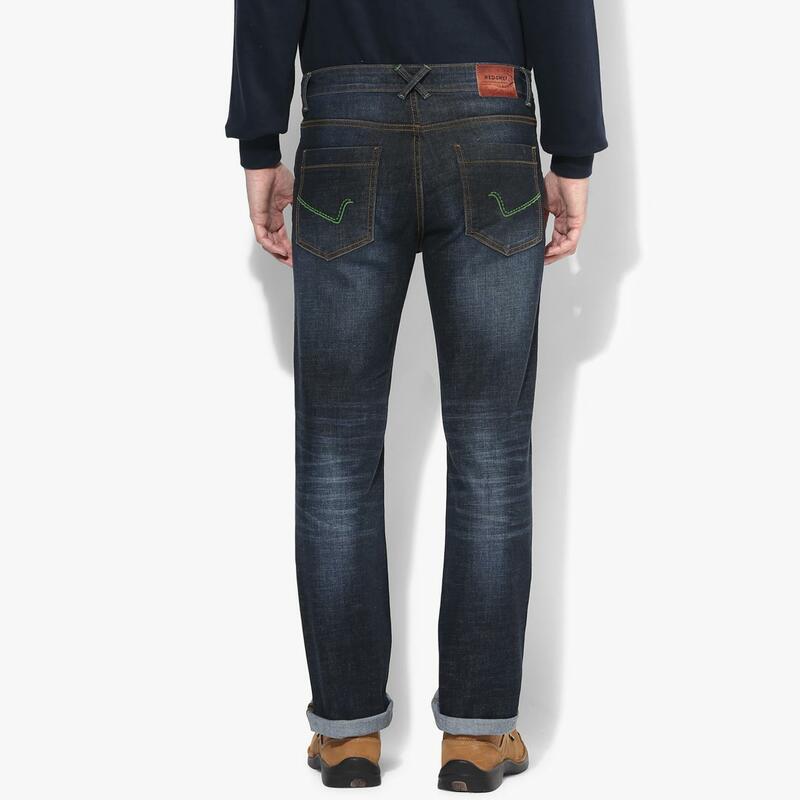 Displaying scrapping with whiskers effect and 5 pockets for a high fashion appeal, these narrow-fit men's denimss will stretch well to your body movements, courtesy the fine cotton fabric. 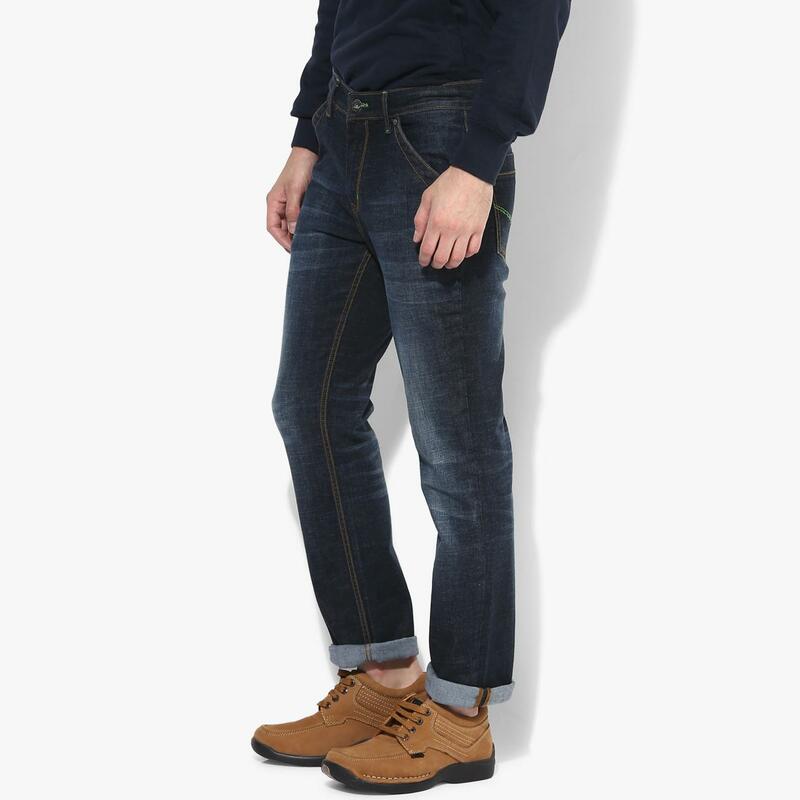 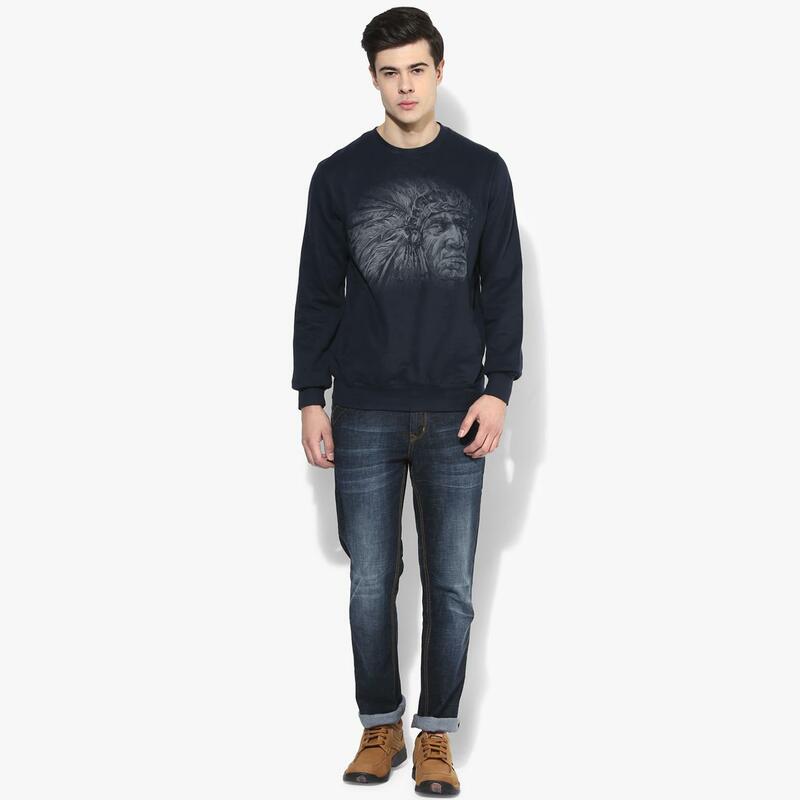 Club these denimss with a T-shirt and sneakers to complete your casual look.